I’m so happy it is time for fall. I just love when the holidays roll around, and you get to do all these fun activities as a family. This past weekend, PoppaNut and I went to our favorite pumpkin patch in search of four perfect pumpkins. Why four? Well, one for PoppaNut, one for MommaNut, one for Peanut and one for Cashew! 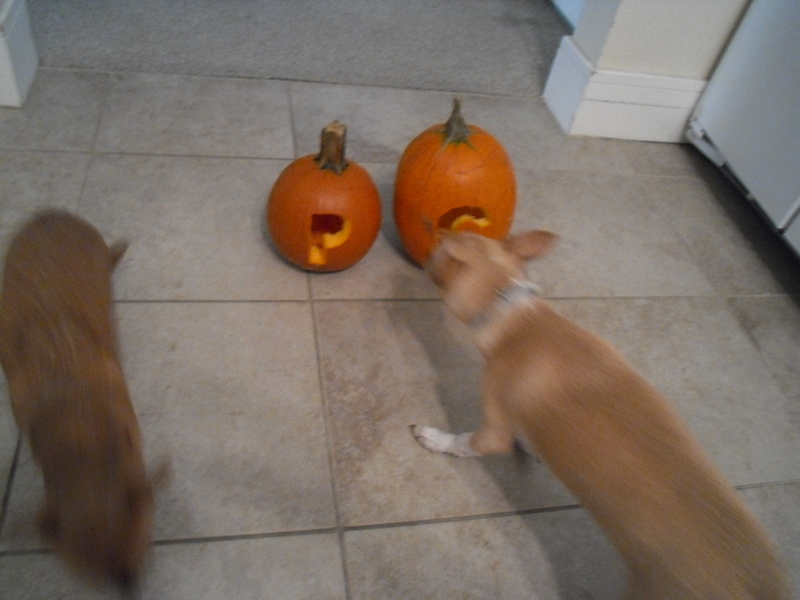 The puppies need their pumpkins, too! 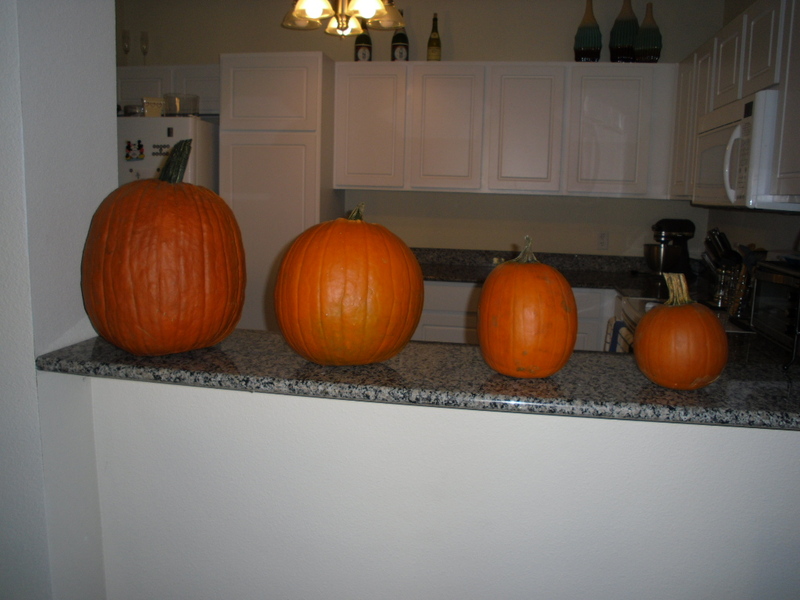 And PoppaNut likes to humor me, so he doesn’t mind me getting pumpkins for them either. We picked out the perfect ones and brought them home! 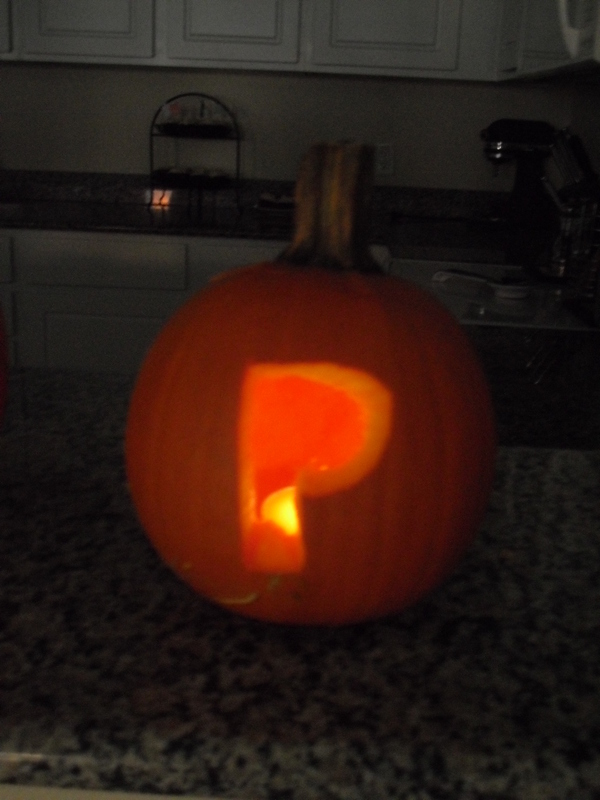 Sunday night, we got the carving tools out and began our work. PoppaNut remembered that we had an old stencil set, and we used that this year. 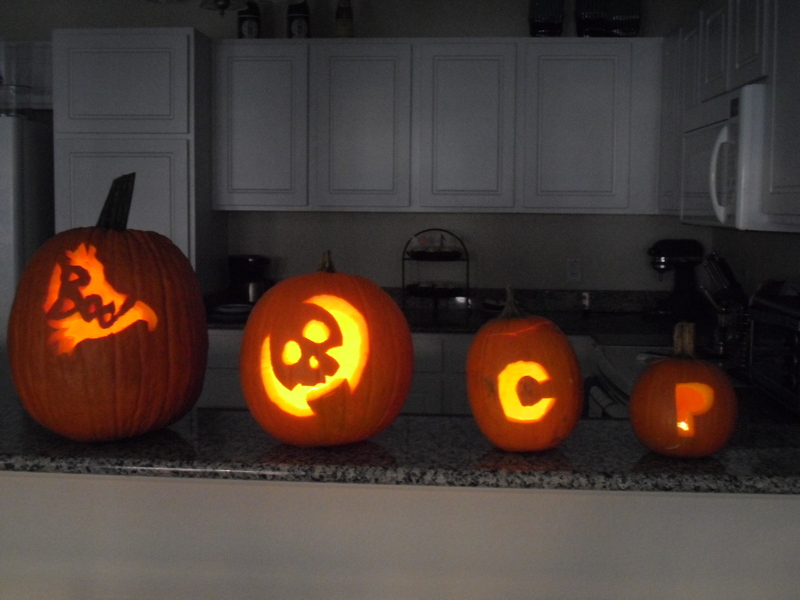 Last year, the stencils were a nightmare. 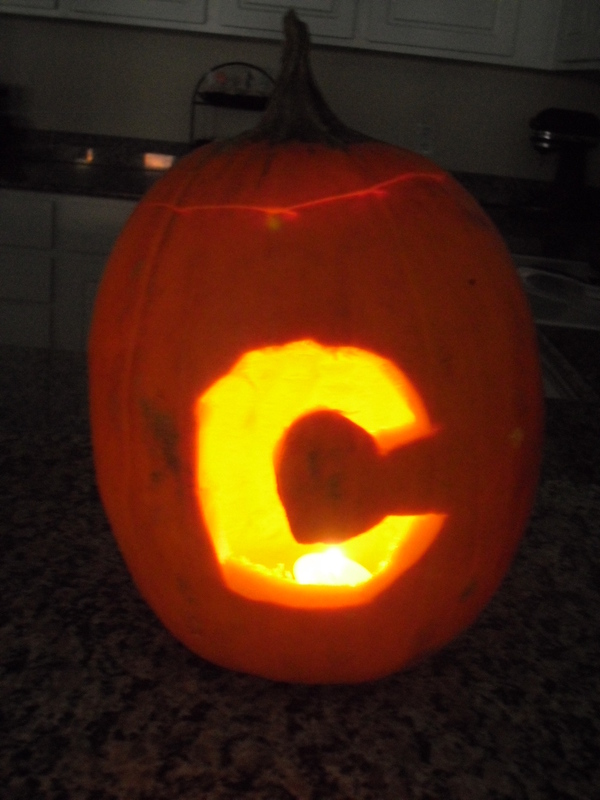 We couldn’t get them to tape onto the pumpkins and the tools broke in minutes. But this year, we had quite a bit more luck. 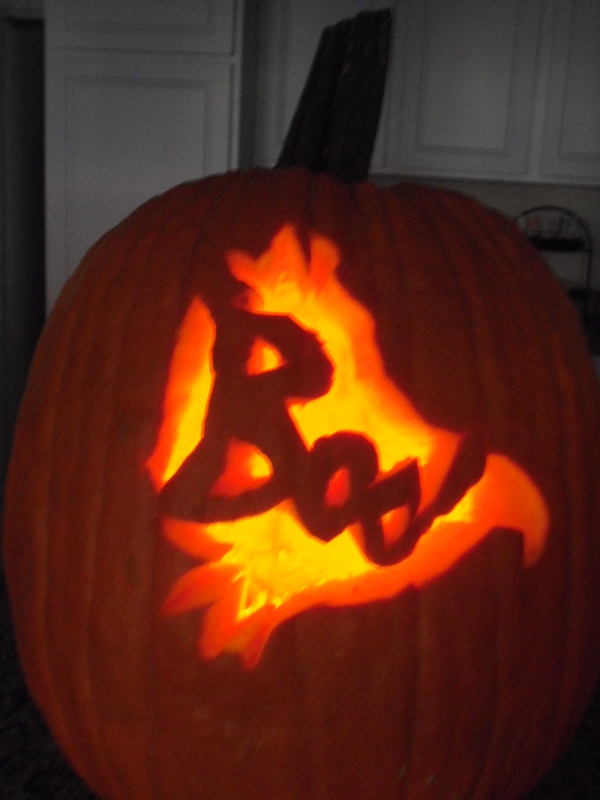 PoppaNut carved a spooktacular ghost with “Boo” written in the middle. 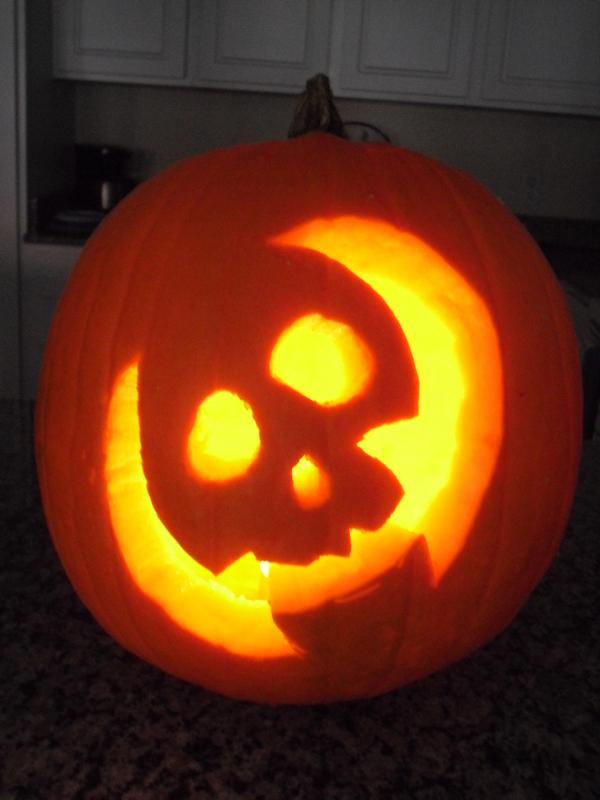 I managed to make a zombie face. The little dogs got initials. Peanut and Cashew didn’t know what to think. 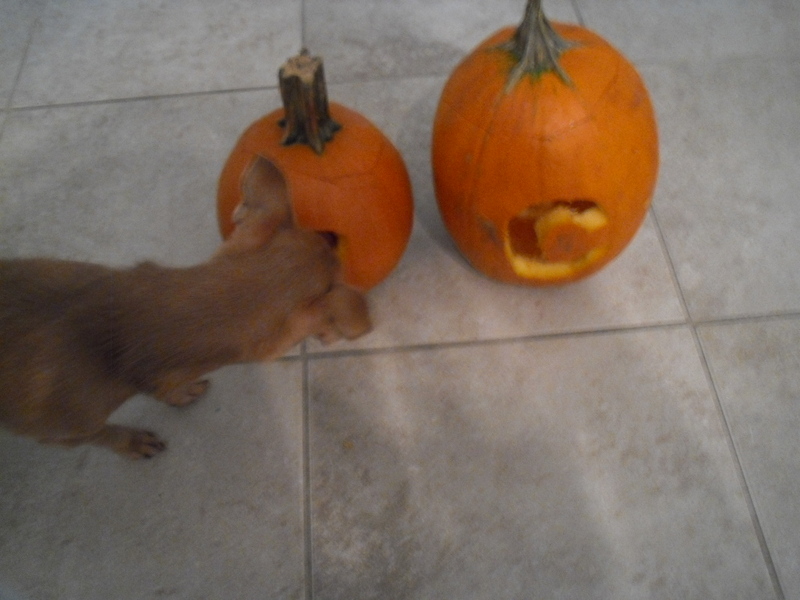 I put their pumpkins down on the ground for them to explore. Peanut investigated a bit but Cashew was scared to death! Halloween is certainly not Cashew’s holiday of choice. At the end, PoppaNut put candles in all four of them, and we hugged as we watched them glow. Three years since our first Halloween together I’m more in love with my life and my hubby than ever before. I’m a very lucky girl! And that’s life in a nutshell. Holidays are fun, but the memories you make during those holiday activities are the moments I treasure most. I love our holiday traditions together baby! !